Steve Estes knows he has it made. 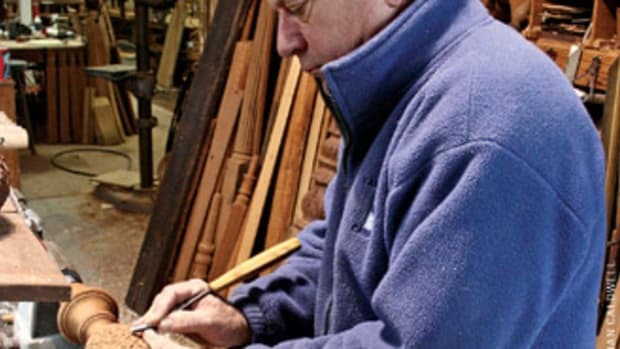 The dedicated craftsman is living his dream as a professional woodworker and residing in his destination of choice. 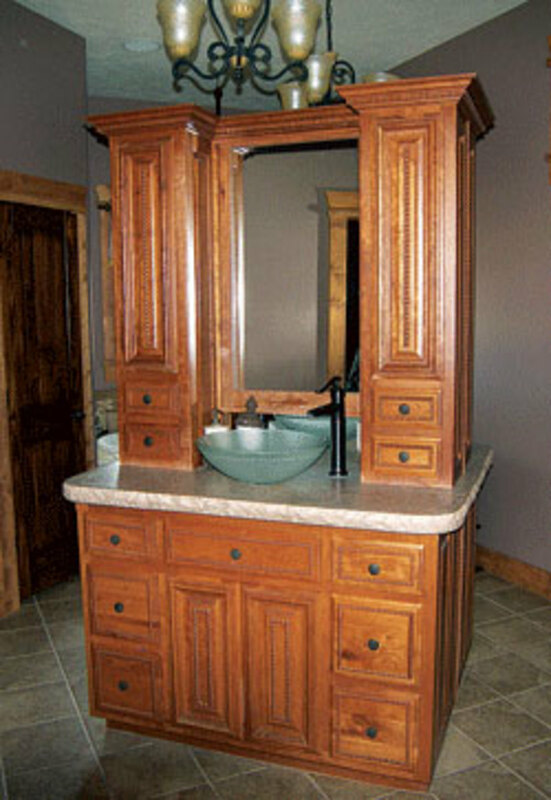 Situated in the small, rural town of Cody, Wyo., Estes designs and fabricates custom cabinetry for residential homes, as well as unique furniture pieces in a range of styles, from Mission, Victorian, contemporary, Shaker and traditional styles. Cody is a small and rural Western town where everyone knows the locals. It’s also a popular tourist spot where people from all around the country have second homes. But the rule of business success is the same here as it is in any location: keeping the customer happy. 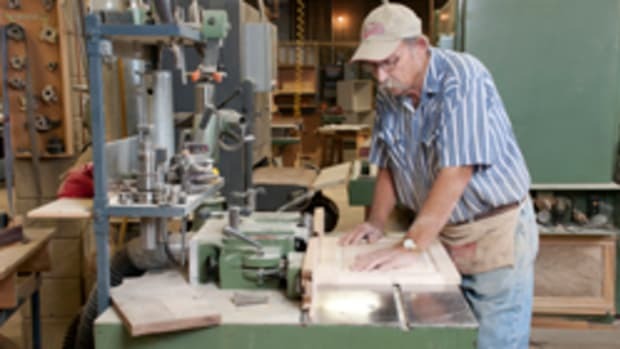 Steve Estes Owner of: Estes Woodworks Location: Cody, Wyo. Shop size: 3,200 sq. 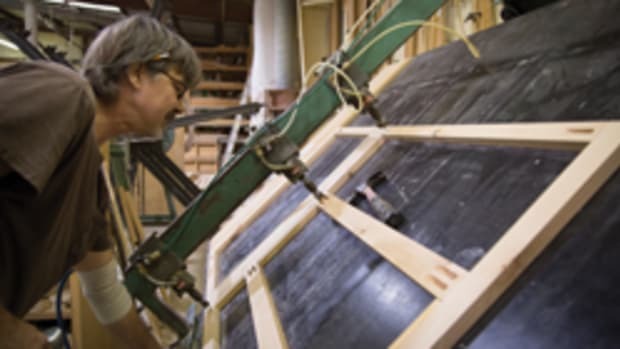 ft. Employees: 3 About: More than 40 years of experience as a master craftsman, specializing in custom furniture and cabinetry for residential clients throughout his home state and throughout the country. Estes was born in southern Missouri, but also lived in Iowa and Nebraska while growing up. 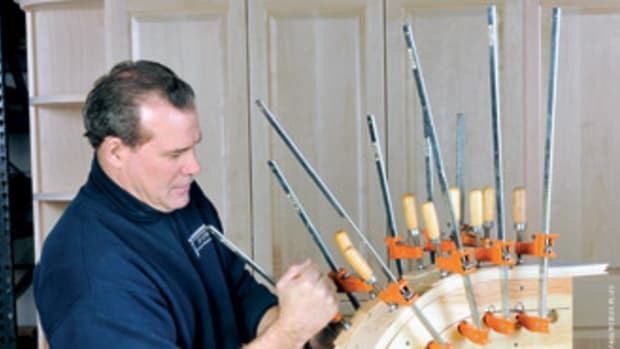 He was introduced to woodworking by his hobbyist father. That shop, named Millard Cabinets after a suburb of Omaha, Neb., was relocated to Arkansas in 1979. Estes also relocated and accepted the owner’s offer to purchase half of the company. In 1981, he bought his business partner out completely and became sole owner. Estes relocated to Cody in 1999 because he had always wanted to live in a scenic mountain region with lots of open space and it was time for change. 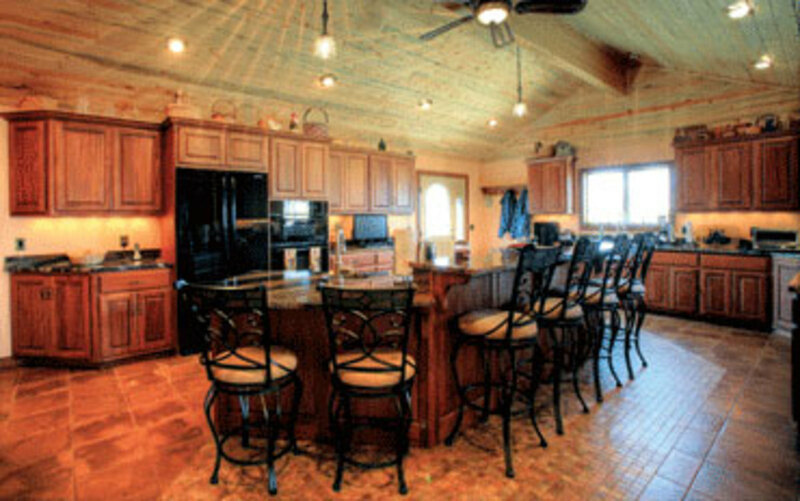 He changed the name to Estes Woodworks and ran the business out of a garage until 2003, when he moved to his current location, a log home on a spacious ranch property. He built a 3,200-sq.-ft. shop out back and, little by little, he began to add employees. He now has three full-time workers, which is enough for him. With an easygoing nature, Estes simply purchased the equipment he needed through the years. 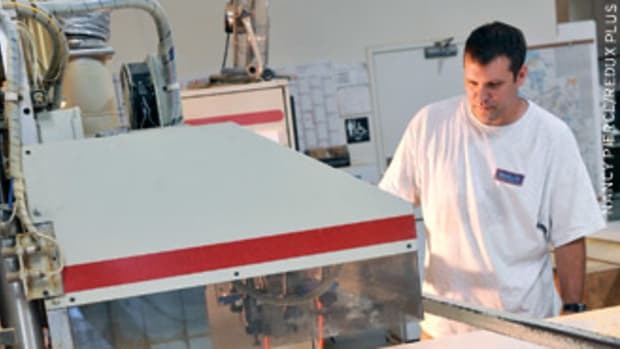 The list includes a Timesaver wide belt sander; SawStop table saw; Powermatic line boring machine; Doucet clamping table; Kreg face frame table; and several brands of planers, shapers and sanders. Estes primarily works within a 50-mile radius, but regularly ships custom work across the country. 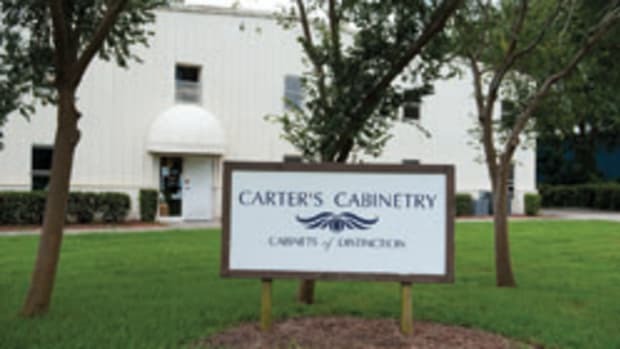 The cabinetry portion of his business is comprised of approximately 70 percent new homes and 30 percent remodel work. Business is primarily obtained through word of mouth and his website. He advertises in the local phone book and has occasionally placed ads in niche magazines such as True West and Cowboys & Indians. He’s also tried his luck at craft shows both in Wyoming and beyond, his favorite local ones being the Western Design Conference and Cody High Style. He typically shies away from commercial work, but has agreed to several commissions for local establishments, such as a gun shop that needed display cases for firearms. Often, business volume depends on the season, rather than the economy alone. 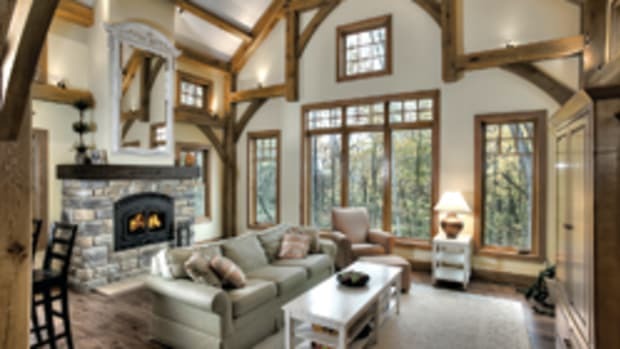 New-home builders like to start construction in the fall so that homes are ready for cabinets and other interior woodwork around the beginning of March. 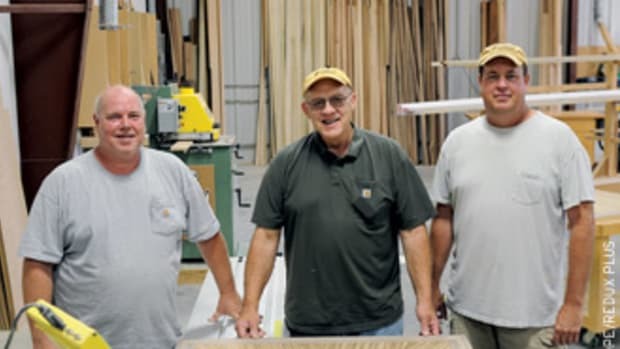 Estes says the economic downturn wasn’t terribly hard on him and his company was busier than ever through last September, when Woodshop News visited him. On average, the four-man crew completes and installs about two to three jobs per month. 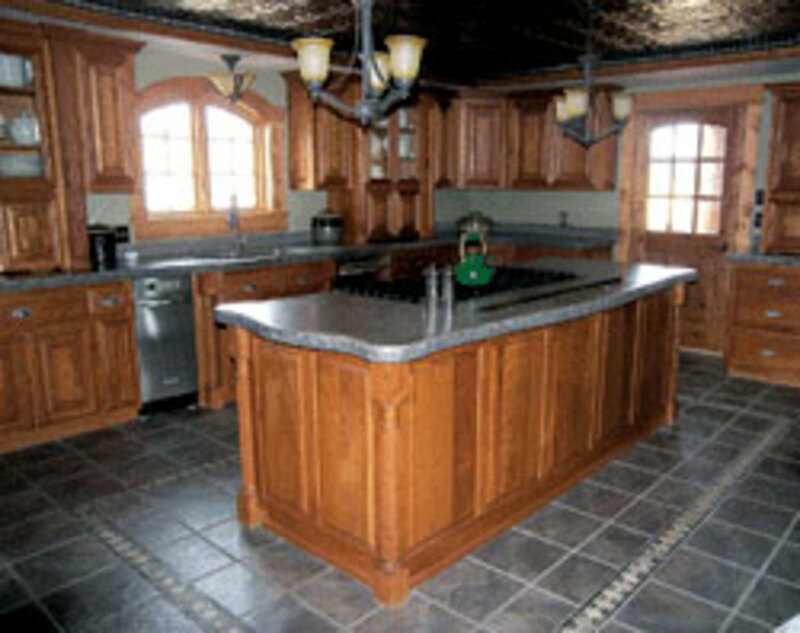 These often include, for example, whole home packages, kitchen remodels, kitchen islands and bathroom vanities. As far as styles are concerned, he feels customers rely on him for guidance. 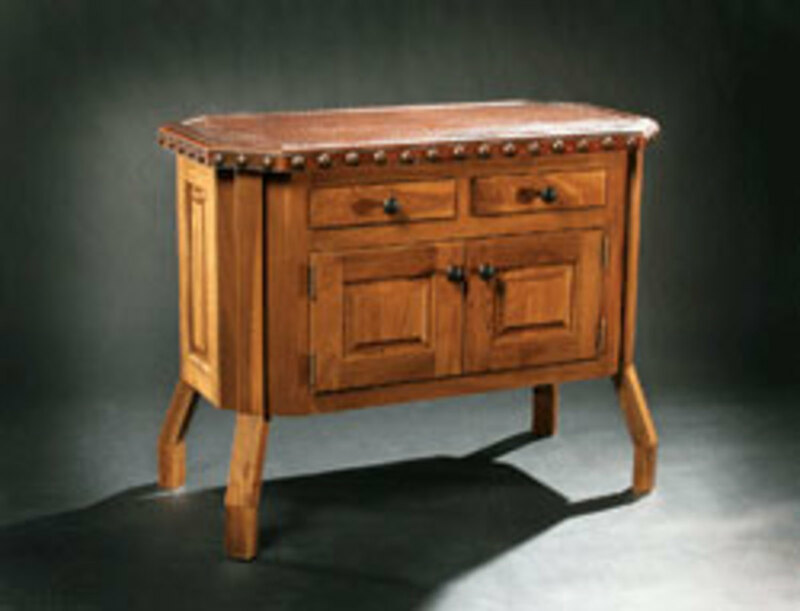 Furniture style preferences tend to be in the traditional, Mission-style category. Contrary to what might be assumed, the rustic Western look is not in high demand. Estes says clients wanting more primitive aesthetics in their work are usually having it done for a second or vacation home. 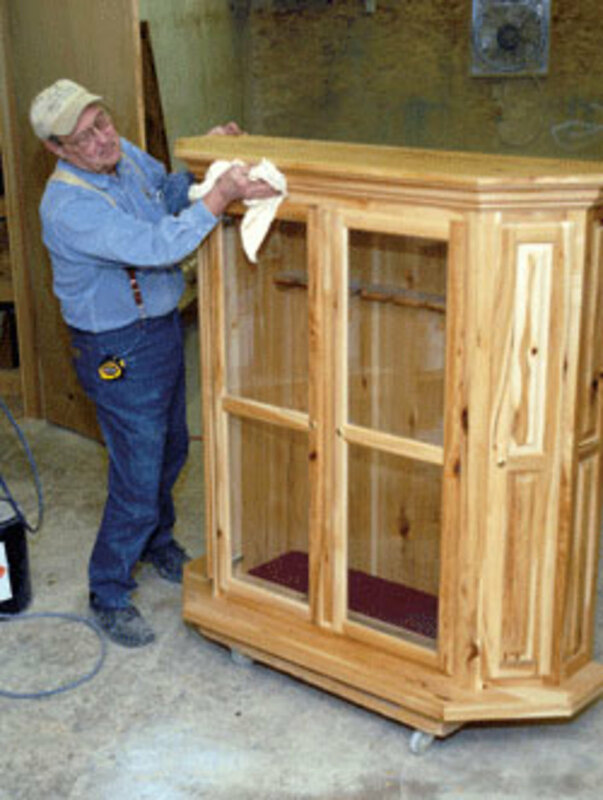 Regardless of style, building furniture is the most enjoyable part of his business. “Kitchen cabinets get old. The only thing that changes is the door style. What I really enjoy doing is the furniture. Every piece is different. Every person has a different personality and it shows up in the kind of furniture that they like so it’s a challenge and it’s fun to meet that challenge, to make something that’s an heirloom for someone to hand down to someone special. That’s the fun part. Estes believes his biggest challenge is keeping enough work in the shop to take time off. Nowadays, he enjoys sharing stories with other members of the Cody Western Artisans organization to which he belongs and also spending time pursuing his other recreational interests. With a bit of a chuckle, he says he will retire eventually.